Comedian David Baddiel’s brand new book, AniMalcolm, is out now in paperback! Life as an animal can be wild - just ask Malcolm! 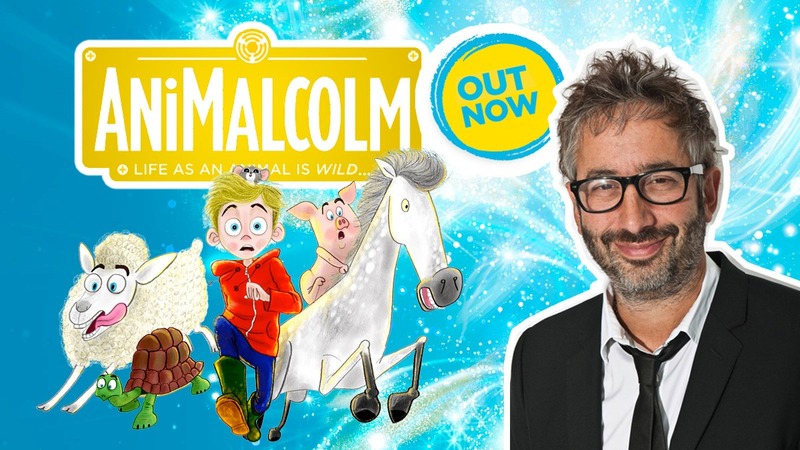 AniMalcolm is the latest book from David Baddiel. It will have you laughing out loud from cover to cover! Malcolm doesn’t like animals, which is a problem because his family love them! Their house is full of pets! What the house is NOT full of is stuff Malcolm likes… like the brand new laptop he wanted for his birthday. The only thing Malcolm has to look forward to is his school trip, which Malcolm never thought his parents would ever pay for. And yet there he is, on the bus, heading to… oh no… a farm! But this isn’t any ordinary farm – the farm will change Malcolm forever. He learns all about animals… and what it’s like to be an animal. The trip makes him think, speak, eat, and smell differently! Gross! Will he ever end up the same as before? Life as an animal is wild! AniMalcolm is OUT NOW in paperback! David Baddiel is the award-winning author of The Parent Agency and The Person Controller! AniMalcolm is his latest book and is sure to make you laugh out loud!